Update 2 (4/6/2015): The best theme that seems to work flawlessly is “delorean-dark”. Be sure to select it for Desktop and Control in the Themes section. There are many themes are close but this one seems the best all around. Update: A good post on StackOverflow gets similar results. You can also follow the steps below but I suggest installing Sublime Text because XML files are much easier to read with that turned on. This will quickly get on your nerves. You can click and not release the buttons to see what is there. To get back visibility on your buttons, the way I found to work is to add the nightfall theme available for Linux Mint. 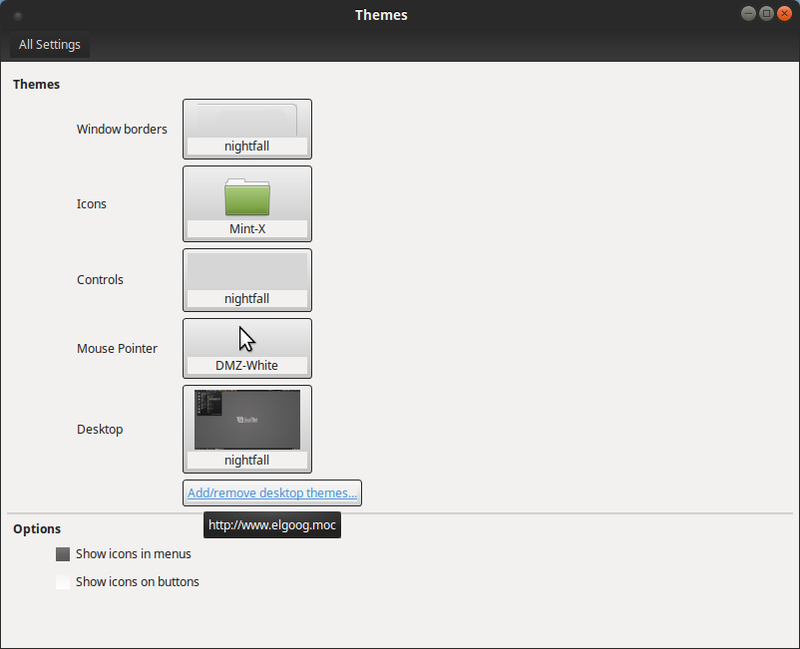 So, navigate to the themes menu and select “Add/remove desktop themes”. 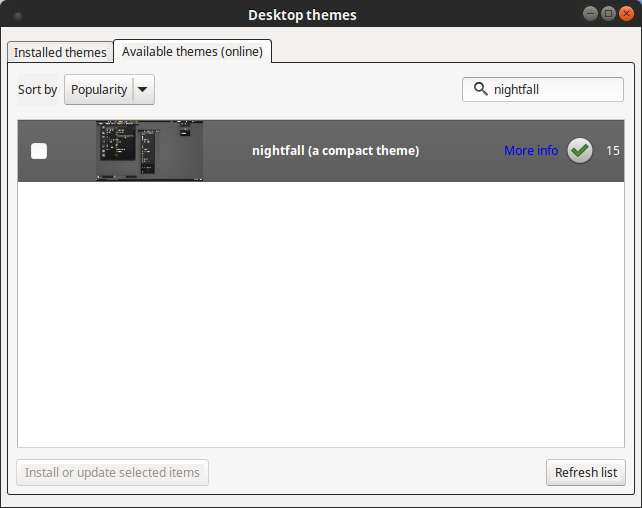 Search for and install “nightfall (a compact theme)”. Back in the main Themes page, set Window borders, Controls, and Desktop to nightfall. When you apply the changes, you might see a white background for your text in Eclipse. Restart Eclipse and for me, everything looks correct. P.S. – For a quicker fix, you can try enabling “High Contrast” mode for your controls in the Themes section and changing the Editor background color to a dark grey instead of System Default. This actually was good in the short term but caused additional errors that it was not worth using anymore. This entry was posted in How-To, Linux and tagged dark theme, eclipse, Linux, Linux Mint, luna, nightfall, themes, tips. Bookmark the permalink.